100% free of sulfates, parabens, silicone oil, phosphates, sodium chloride and mineral oils. 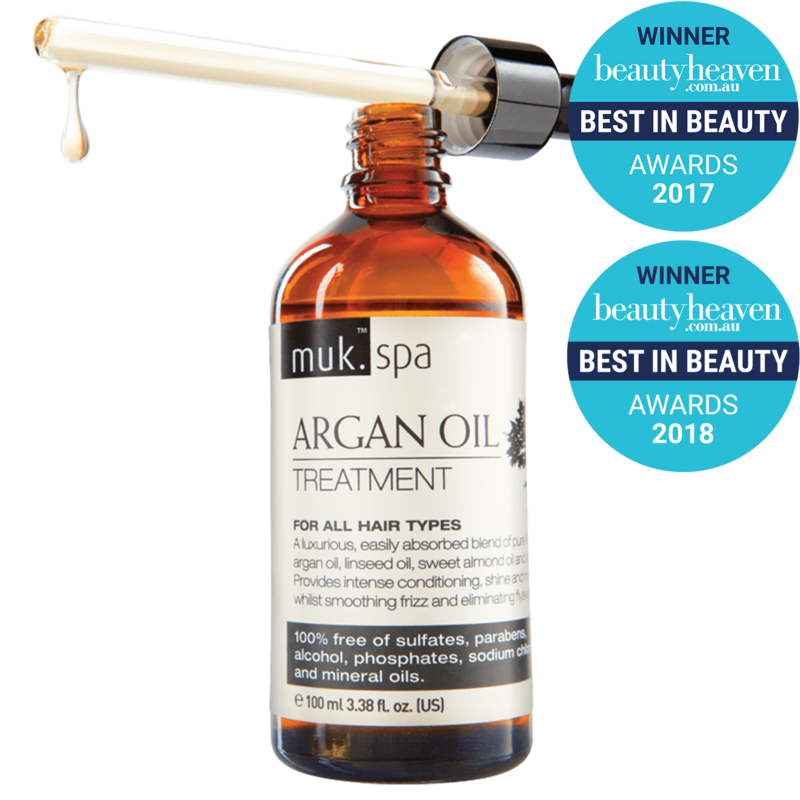 Rich in essential fatty acids including Omega 9 and Omega 6, muk™ spa Argan Oil Repair Conditioner is exceptionally high in Vitamin E. A powerful anti-oxidant that fights free radicals and maintains hair strength, elasticity and hydration levels. For optimal results use muk™ spa Argan Oil Treatment or Shine Spray on a regular basis.